The Winter Wonderland event is still running at Whitehouse Farm on weekdays (Tuesdays to Fridays, the farm is shut on Mondays). This event is perfect for pre-schoolers and you can see still see Santa (check website for details and times before travelling), I took Jacob and my then two-year-old niece last year and they had such a great time and as it was a weekday the farm was a lot quieter. However this year Whitehouse Farm also has a new event on weekends called The Santa Experience. The Santa Experience includes all the good bits of the Winter Wonderland, the farm is all decorated festive and all the staff are dressed as elves and there are festive activities to join in with. However, with the Santa Experience, you get to pre-book a half-hour time slot to see Santa online in advance, meaning no waiting in long queues to see him - hoorah! 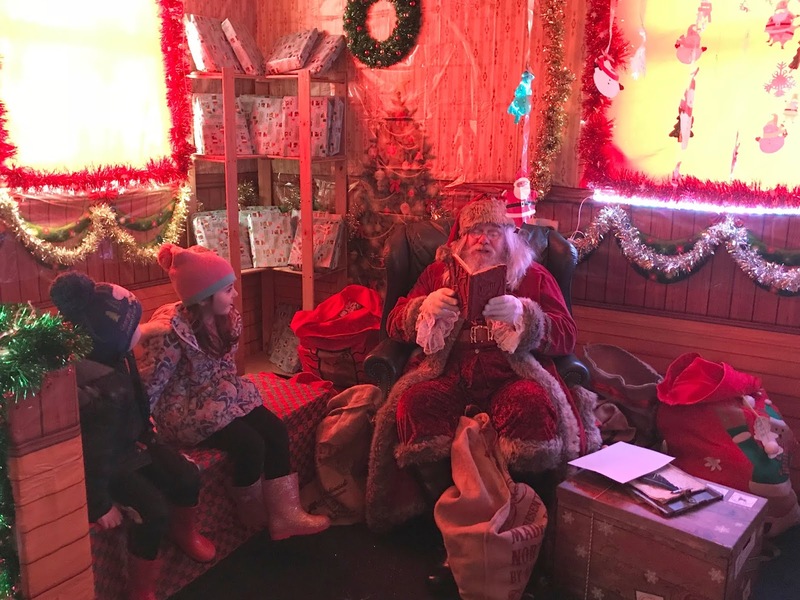 Santa is also in a new home this year which is rather magical and you get a private one to one meeting with Santa in his new grotto and each child will also receive a gift from Santa too. On arrival, we were given a ticket with our pre-booked time slot on to see Santa and were then free to explore the farm before meeting Santa. First up we headed to elf school which was in the events barn, Jacob thoroughly enjoyed the magic show with the head elf who had the children in stitches of laughter. 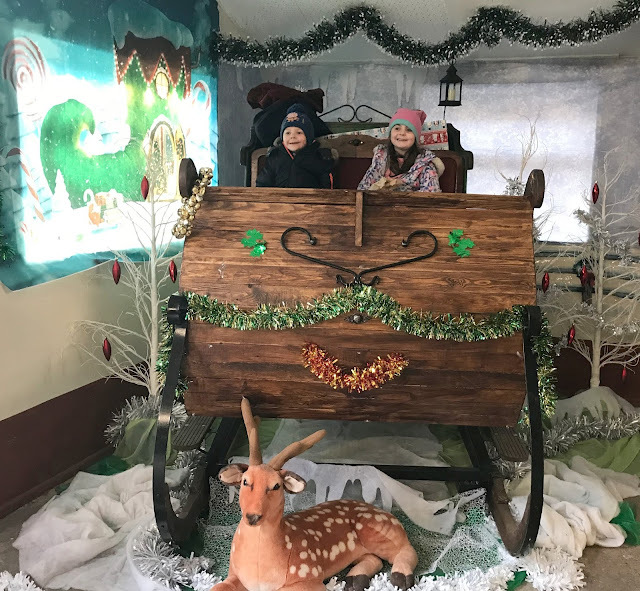 We then walked through the winter wonderland to lots of gasps and excited chatter from the children as they took in all the decorations before stumbling across Santa's sleigh and stopping off for a sit onboard it. It was then time to see Santa! On weekends for the Santa Experience Santa can be found in the white building near the carpark, there were lots of festive decorations outside and the children could not wait to see what was inside. We were greeted by an elf at the check-in desk who took our ticket (you need to book to see Santa on a weekend) and the children's names and then directed us to the elf workshop where the children got to work making lots of wooden festive decorations and cards covered in lots of glitter whilst we waited to see Santa. I really liked that the children were kept busy with crafts as it kept them entertained whilst we waited for our turn. 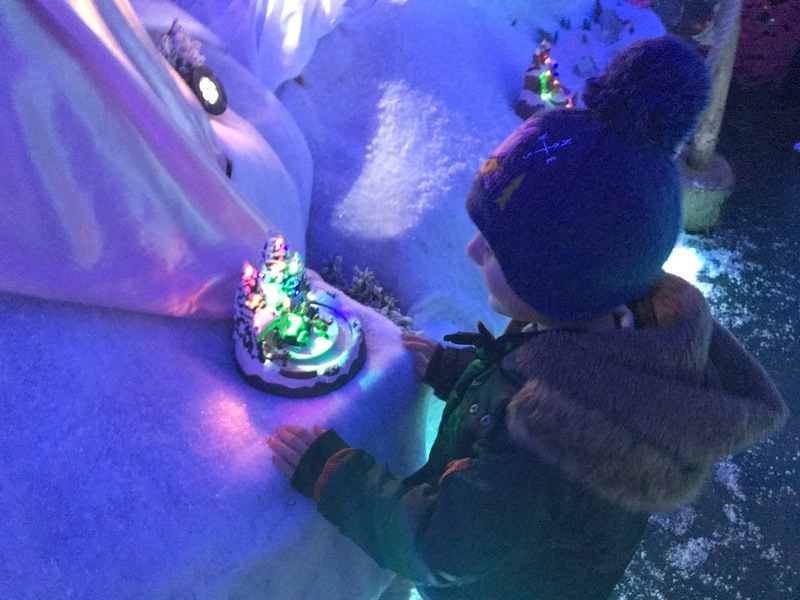 Then it was time to see Santa Claus himself, we were taken through to his grotto which was really cosy and filled with twinkling Christmas trees, lots of fairy lights, decorations and presents - it was so lovely and magical for the children. The Santa at Whitehouse Farm is hands down the best one we have ever seen, it was the same one as last year and he honestly looks so real and has a wonderful costume. He is so lovely with the children and so believable, telling them tales and truly making them believe in the magic of Christmas. He really takes the time asking the children what they would like and writing it down in his special book, showing them his book with the good or naughty names in and answering questions he really is such a lovely man and really makes the children believe. Sophia is five and people at school had been telling her Santa was just someone dressed up, she left Whitehouse Farm truly believing that she had seen the real Santa. The children could not believe their luck when he pulled out a present for each of them from his sack, as well as a letter and some magic hay to put out for the reindeer on Christmas Eve. The presents were really nice too, Sophia got a colouring in felt jigsaw and Jacob got a dinosaur bone set and colouring book, they were really happy with their gifts. 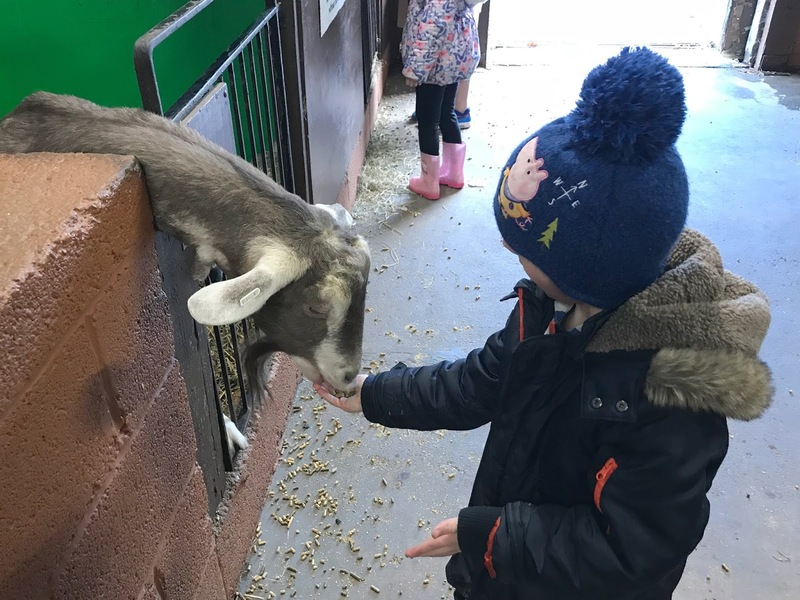 After seeing Santa we then made our way back to the farm to see the animals, entry to the farm is included in the price of the Santa Experience. We saw the animals, fed the goats which is Jacobs favourite thing to do at Whitehouse Farm. As it was raining when we visited we didn't take part in the tractor ride which was driven by an elf or get to visit the park or some of the outdoor areas but we did visit the indoor soft play and stopped off for a cake in the cafe. 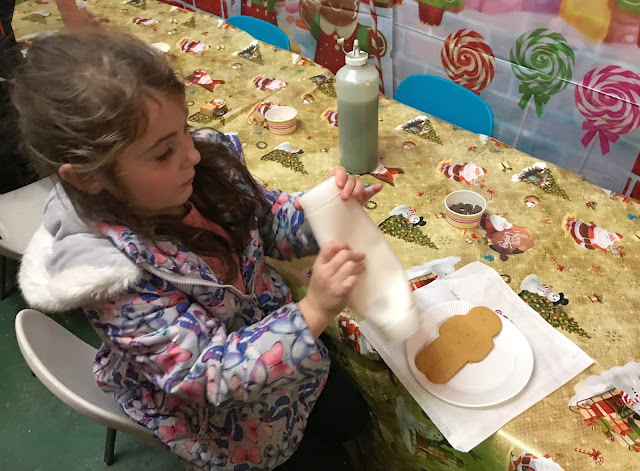 We also got to decorate a biscuit in Mrs Claus bakery too (small charge applies) Sophia made a snowman and Jacob a Christmas tree biscuit. We were at Whitehouse Farm three hours but we had to rush back home as Sophia was at a party otherwise we could have stayed all day as there was so much to see and do, even in the rain! I honestly can not recommend a visit to Whitehouse Farm Santa Experience enough it is a truly magical day out that the children will love. 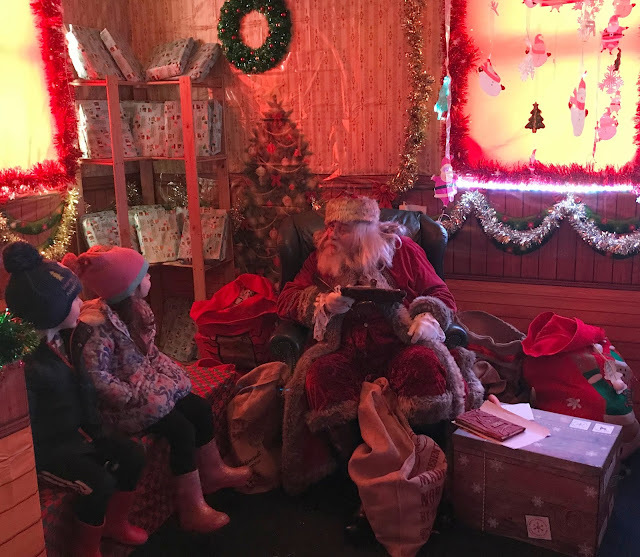 You get all the fun of farm, plus lots of festive extras like magic shows, elf school, writing letters to Santa, ride on the festive trailer, see Santas sleigh, decorating festive biscuits and of course seeing the most lovely, magical and realistic Santa Claus. 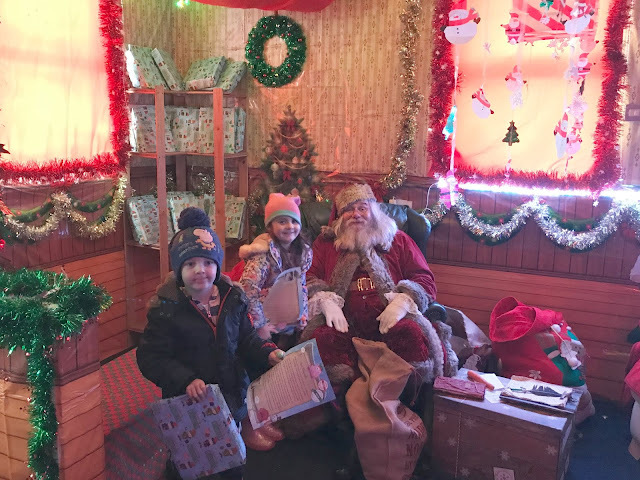 If like us you only take your children to see one Santa Claus a year, or if your children are starting to doubt Santa or you just fancy a festive family day out then I 100% recommend a visit to Whitehouse Farm this December. I made a super short little video of our day at Whitehouse Farm below if you fancy a nosy. You can book tickets to The Santa Experience online at www.whitehousefarmcentre.co.uk it will run every weekend until Christmas and also on Christmas Eve. 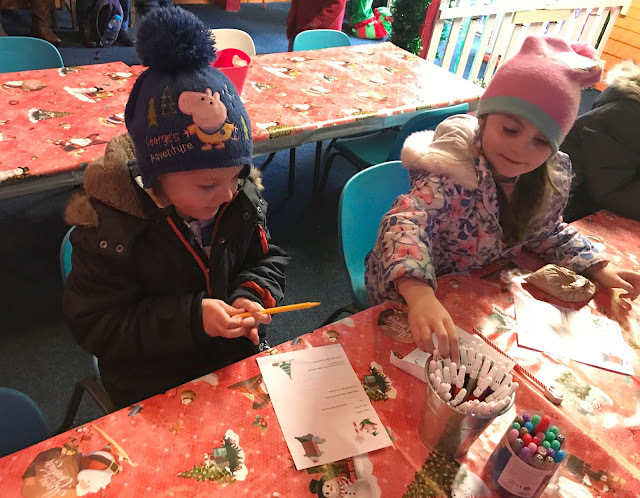 The ticket price includes a time slot to see Santa, a gift for each child visiting Santa, festive crafts and entry to the farm to enjoy all the other festive activities. Tickets cost from £20- £25 for children aged 2-16 years, children under two cost £10 and adults cost £10.95. Disclosure we received free entry to Whitehouse Farm for the purpose of this review, however, all opinions are my own. This looks so lovely! I definitely have two 'doubters' so we may try to get a trip in to restore the magic ha ha! Thank you so much for your review. What a fantastic experience.